The Amazon DNS Server in a VPC provides full public DNS resolution, with additional resolution for internal records for the VPC and customer-defined Route 53 private DNS records.4 The AmazonProvidedDNS maps to a DNS server running on a reserved IP address at the base of the VPC network range, plus two. 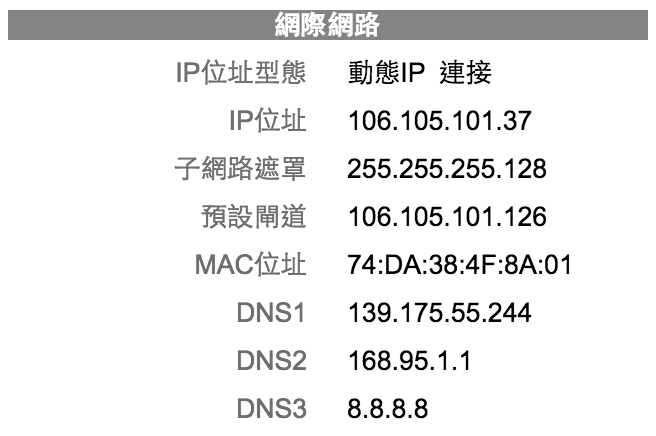 For example, the DNS Server on a 10.0.0.0/16 network is located at 10.0.0.2. For VPCs with multiple CIDR blocks, the DNS server IP address is located in the primary CIDR block. 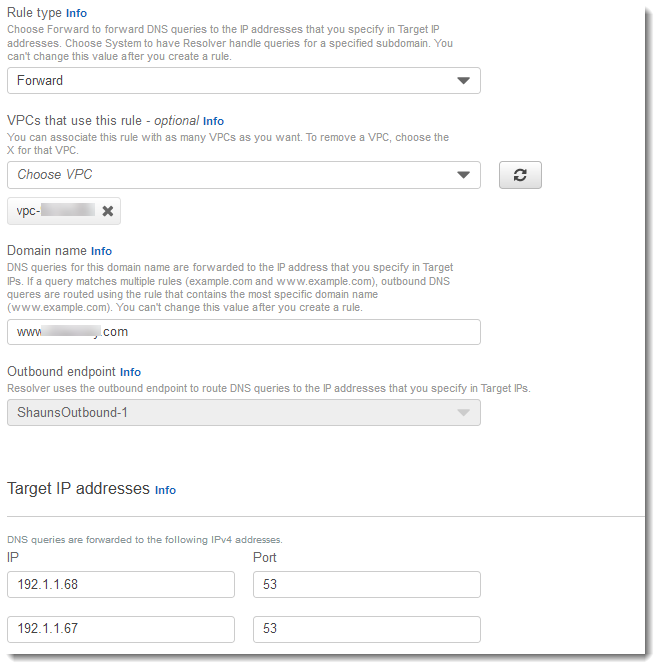 When you create a VPC, we automatically create a set of DHCP options and associate them with the VPC. This set includes two options: domain-name-servers=AmazonProvidedDNS, and domain-name=domain-name-for-your-region. AmazonProvidedDNS is an Amazon DNS server, and this option enables DNS for instances that need to communicate over the VPC's Internet gateway. The string AmazonProvidedDNS maps to a DNS server running on a reserved IP address at the base of the VPC IPv4 network range, plus two. For example, the DNS Server on a 10.0.0.0/16 network is located at 10.0.0.2. For VPCs with multiple IPv4 CIDR blocks, the DNS server IP address is located in the primary CIDR block. Each network interface in an Amazon VPC has a hard limit of 1024 packets that it can send to the Amazon Provided DNS server every second. This entry was posted in AWS, Cloud, Computer, DNS, Murmuring, Network, Service and tagged amazon, aws, cloud, dhcp, dns, elastic, eni, hybrid, interface, network, private, public, resolver, route53, server, service, unbound, vpc, zone on November 19, 2017 by Gea-Suan Lin. 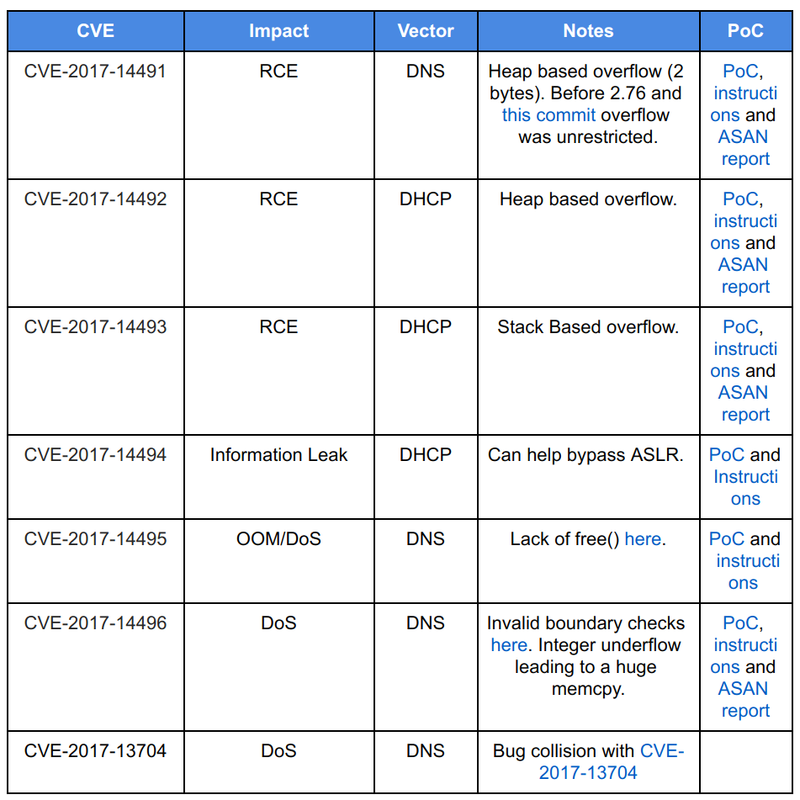 This entry was posted in Computer, Murmuring, Network and tagged address, dhcp, ip, isp, linux, mac, macvlan, multi, pppoe on August 17, 2016 by Gea-Suan Lin. This entry was posted in CDN, Computer, DNS, Murmuring, Network and tagged akamai, cable, cdn, dhcp, dns, edge, hinet, isp, network, seednet, taipeinet on January 22, 2016 by Gea-Suan Lin. This entry was posted in Computer, Hardware, Murmuring, Network, OS, Software and tagged boot, dhcp, install, ipxe, netboot, xyz on January 20, 2016 by Gea-Suan Lin.